Now is the time to own a Hot Spring Salt Water Tub! 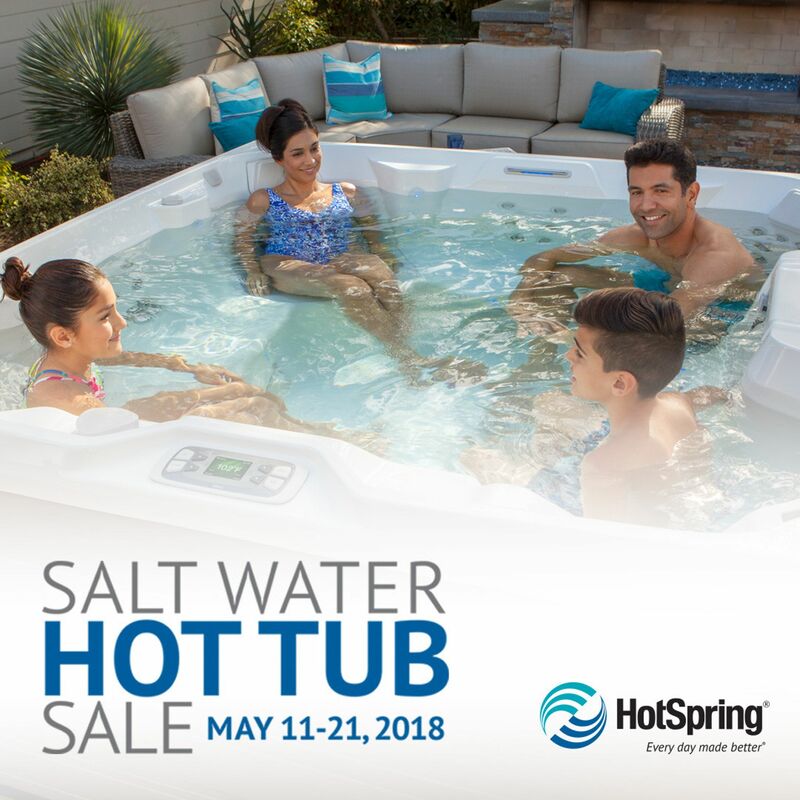 Don’t miss the Salt Water Hot Tub sale where you can get a FREE ACE salt water system with the purchase a NEW Highlife Collection, Highlife Collection NXT or Limelight Collection spa. With the ACE Salt Water System, your Hot Spring Spa is ready when you are with sparkling, natural-feeling spa water. The Salt Water Hot Tub Sale is going on now through May 21, don’t miss out! Easy to care for spa water that looks, feels, and smells great! *Terms and Conditions may apply. Offer available on select models only. See dealer for details.